Letters of Inquiry now being accepted for 2018 residencies. Designed to encourage collaborations in which choreography plays an integral part in the conception and creation of new musical projects, Project Springboard will select two creative teams in early conceptual stages of a new dance musical. Each creative team will receive a fully supported three-week development residency with stipends for the creative team, up to 12 performers, a music director, stage manager, and dramaturg. Both residencies will take place in New York City in June 2018. 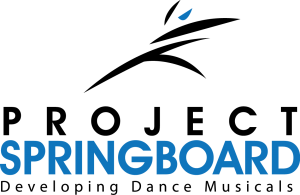 Project Springboard is sponsored through the generous support of The Howard Gilman Foundation, The Mertz Gilmore Foundation, The Frederick Loewe Foundation, The Slifka Family Foundation, The Geraldine Stutz Trust and The Jerome Robbins Foundation.